Extraordinary Friends, how do we love thee? Every month, we receive contributions from people who have committed to support us throughout the year. We call these folks our “Extraordinary Friends.” If you are one of those Friends, we are thankful beyond words for your sustaining support. 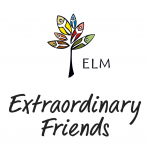 Extraordinary Friends make ELM’s world go round! Host the Proclaim Retreat – largest dedicated gathering of LGBTQ rostered leaders and ministry candidates in any denomination. 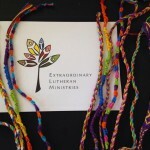 Field calls and emails from over 40 Lutheran candidates for ministry looking for resources with candidacy. Present at the ELCA Conference of Bishops and the ELCA seminary internship directors’ annual retreat about working with LGBTQ candidates. We were also invited to attend the ELCA Fund for Leaders’ annual dinner in recognition of our support for candidates. 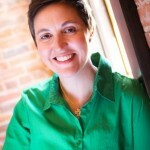 Work on the following one-of-a-kind resources: Candidacy and LGBTQ Individuals (for ELCA candidacy committees); a handbook for first call candidates; a guide for call committees and synods wanting to extend a welcome to LGBTQ candidates; and a collection of stories from LGBTQ ministers. At the Proclaim retreat this year, the ministers and candidates wanted to show their gratitude for our Extraordinary Friends. So they wrote notes of thanks for current Friends and made “friendship” bracelets for new ones. Monthly giving provides this ministry with a steady cash flow, assurance of renewal of gifts, and allows many to provide larger gifts over the course of time. This method of giving is crucial to our success. You can affirm LGBTQ leaders and their ministries through your contribution. These leaders seek to be engaged in ministry year round – we can show our support by contributing to their ministry each month. GET INVOLVED It’s very easy to become an Extraordinary Friend – you can join with a gift of $10 or more a month. You can sign up right here online and give from your checking account or with a credit card. You can also mail us a monthly check directly from your bank account (or kitchen table). Your monthly support means so much to these faithful (and fabulous) leaders and their ministries. I give thanks for our Extraordinary Friends and for all those who support this ministry with their prayers and contributions. by Amalia Vagts. 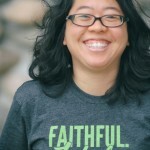 Amalia is executive director of Extraordinary Lutheran Ministries and gets to write and talk each month with ELM’s Extraordinary Friends, which makes her very, very happy! Read more. This entry was posted on Thursday, July 17th, 2014 at 11:19 am	and is filed under Blog. You can follow any responses to this entry through the RSS 2.0 feed. Both comments and pings are currently closed.